The Mercury Prize is probably the only music award series, let alone British & Irish music award series, that I actually pay attention or give any credence to. Whereas you can generally predict the albums that will make its way onto other award series i.e. The Killers’ / Coldplay’s / Kings of Leon’s latest offering which all have their place, the shortlist for the Mercury Prize acts as home for those albums of the year you felt deserved better recognition and airplay than they did upon release. Not only are the shortlists generically eclectic, but the winners over the years are not always the most expected to win, for instance Portishead’s Dummy was not expected to win in 1995 but it rightly did anyway. Described by Jon Hopkins as a soundtrack to his ‘romanticised version of Fife’, Diamond Mine is the outcome of a seven year collaborative effort between soundtrack and ambient sound wizard Hopkins and one of Scotland’s finest and most prolific songwriters Kenny ‘King Creosote’ Anderson. Trawling through Anderson’s extensive songbook, the pair worked at rearranging and dissembling songs to their skeletal frames and rebuilding them with subtle instrumentation and recorded samples of the Fife area (which I’m informed is a style called ‘Musique Concrète’. Go figure). From the album’s opening clatter of dishes and tearoom patter on ‘First Watch’ to the gentle exit of Anderson’s delicate falsetto vocals on ‘Your Young Voice’, Hopkins’ indelible use of samples seems to quite literally breathe life into Anderson’s songbook. It truly sounds like a respiring entity, in the same way that even in the middle of a field in the middle of nowhere there is a perceptible ‘living’ quality to the silence. Along with the sober Anderson on startlingly good form, this is the sound of Fife as if it were preserved like lightning in a bottle. Gwilym Simcock’s latest offering is the dark horse of the competition by virtue of not only being a jazz record, not the most prominent musical genre today, but also a purely instrumental venture. Recorded in a single day at Schloss Elmau and consisting solely of Simcock’s dynamic piano playing and percussive slaps, Good Days At Schloss Elmau offers a collection of eclectic and exciting jazz/classical arrangements. Simcock fully exhibits the adaptability and range of the grand piano and it is fascinating how an instrumental piece can convey narratives and emotions effectively without a single word uttered. Those who state that jazz is boring or outdated should listen to this accessible and captivating album. Obaro Ejimiwe A.K.A. Ghostpoet has been termed, among other things, a ‘dub poet’ which I feel is an apt term. Ejimiwe’s lyrics and music have quite a bit in common with the works of beat poets, particularly the late Gil Scott-Heron’s last album I’m New Here, and the songs here feel incredibly modern. Recorded and pieced together during Ejimiwe’s University degree at Coventry Peanut Butter Blues & Melancholy Jam is a truly contemporary album, mixing together elements of dub, dance, trip hop and rap music all tied together by Ejimiwe’s wonderfully narcotic and woozy vocal delivery. Besides the tongue in cheek title, Ejimiwe exemplifies himself as a witty writer (proclaiming ‘It’s my United Kingdom of Whatever!’ on ‘I Ain’t Finished’) and capable of standing believably in the shoes of anyone he chooses. 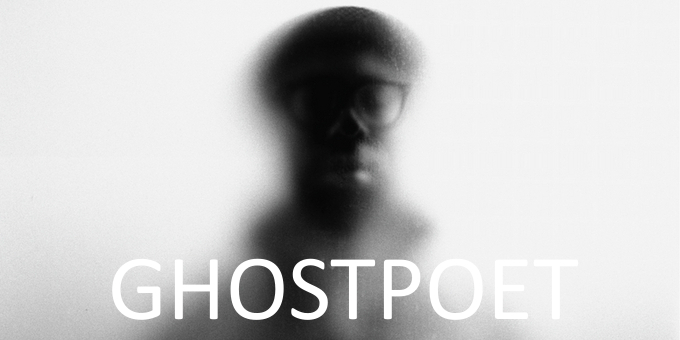 From detailing the morning school rush on ‘Longing For The Night’ to depicting the monotony of being stuck in a dead end job on ‘Gaaasp’, Ghostpoet is an astute observer of modern living, addressing the issues of our everyday existence with a realistic optimism that pulls you through into tomorrow. Album closer ‘Liiines’ is an uplifting anthem that Ejimiwe describes as, ‘Sort of a slap in the face to myself to wake up and get on with it’, and in these too often oppressively dreary times we can always use a bit of that. If you want to listen to these albums and find out more I highly recommend you check out BBC 6 Musics recent series, ‘The Complete Mercurys’, where the artists themselves offer insight into the making and inspiration of their albums track by track. Check it out here. Bon Iver and James Blake are artists of very different styles, but both are in possession of adventurous and visionary spirits. A chance encounter at Austin, TX based festival SXSW in March between Bon Iver’s Justin Vernon and long time admirer Blake sparked the embers for collaboration. Now the London based Blake is on the brink of possibly more critical acclaim (his eponymous debut has been nominated for the imminent Mercury Awards) and while Vernon tours and basks in the critical recognition for Bon Iver’s second album (reviewed here), the first fruit of this collaborative effort has revealed itself to the world in the form of ‘Fall Creek Boys Choir’. 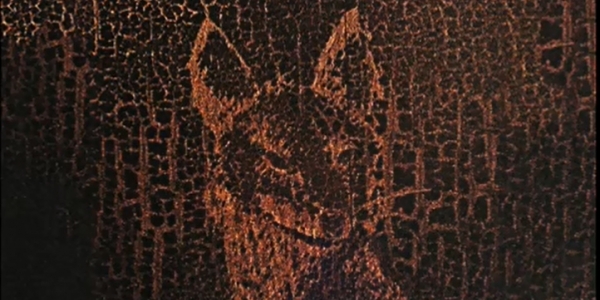 The song introduces itself with Vernon’s recognisable vocals before Blake’s reverberating, dissonant piano chords make their entrance and are joined by Blake’s stark percussion and sonar-like samples. The bulk of the track’s influence is definitely made up of Blake’s music and production, sounding similar to ‘Lindisfarne II’ or ‘Unluck’. However, Vernon’s always heartfelt vocals bring warmth that contrasts with Blake’s vocals which at times can sound a tad cold or distant. As the track progresses Vernon’s multilayered choral vocal melodies soar above Blake’s melancholic instrumentation and lift the song to more profound heights. The postscript beneath the featured Youtube video enigmatically states ‘Enough Thunder – Oct 2011’, hinting at more to come. Hopefully a future effort will be more balanced between the two artists and feature both Blake and Vernon duetting as their vocal talents would complement one another nicely in the right setting. However, for now ‘Fall Creek Boys Choir’ has plenty of potential and shows ample promise for what may, with any luck, propagate into a full album. Stay tuned. ‘Fall Creek Boys Choir’ is available for download from Amazon and iTunes now.